Our workshops are ready to create your vision. We pride ourselves on having one of the strongest networks in Europe to source the best vehicles. 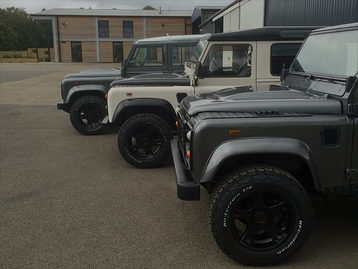 Focussing on Left Hand Drive vehicles from warmer climates enables us to buy the strongest examples. Our vehicles are stripped to ensure full inspection, preparation and professional application of your colour choice and combination. 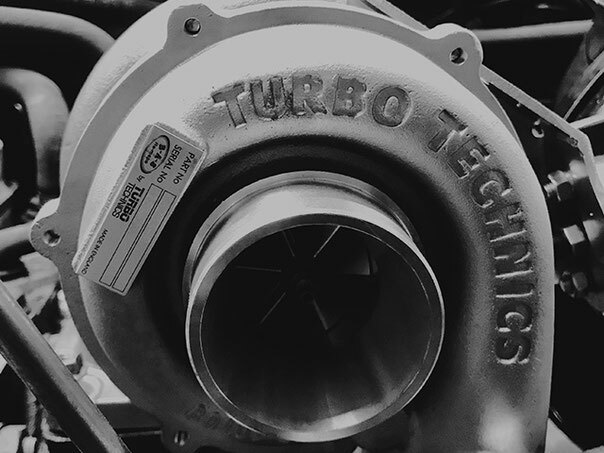 The drivetrain and power unit is upgraded concurrently; now is the time to add your performance and comfort upgrades to the mechanical components. This is where the vehicle becomes an expression of you - what accessories will you add? Chequer plate accents, grill kits, sidesteps, guards and wheels are amongst hundreds of options. 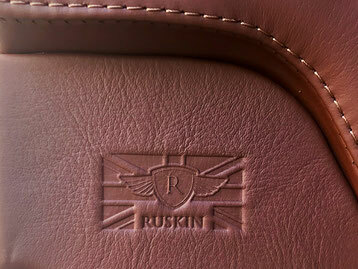 Consider your ideas for leather trim, leather dashboard components, headliners in traditional grey or black alston suede. The possibilities for interior options are limitless and can achieve offroad practicality, urban style or the much-loved classic look. 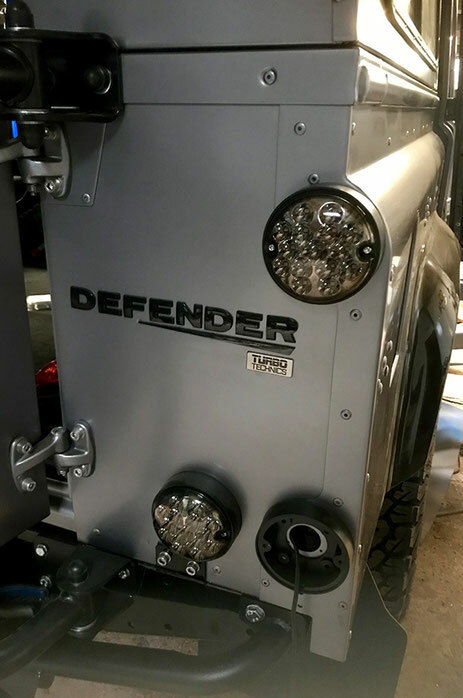 The details make the vehicle; stainless steel bolts are used throughout the bodywork - lights can be standard or LED, clear or smoked, adjust the layout and badges....spend time to look at examples and discuss with us. What else could we add? 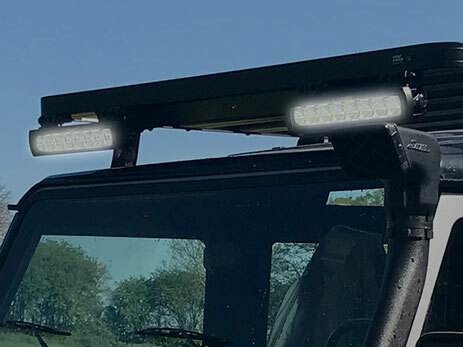 Additional lighting and some adventure accessories can make your vehicle stand out. Are you choosing to be seen or be the subtle considered choice that only this vehicle can display? Now we ship - we link you up with our shipping agents and customs brokers to move your vehicle to a new life across the globe. 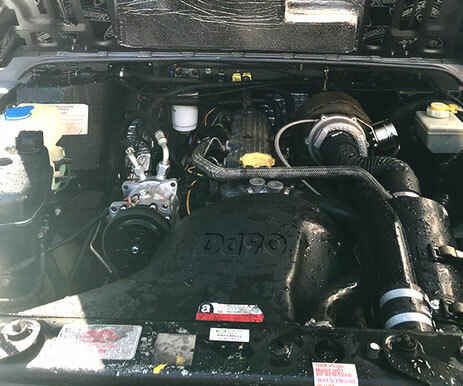 Consider larger intercoolers, bigger turbos and performance hose kits. 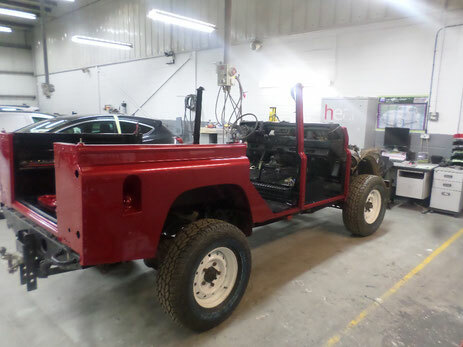 As standard, our chassis are fully inspected, repaired and treated with premium Buzzweld products. Drilled and vented discs, coloured calipers or bigger brake upgrades. Standard height or lifted? There is a huge range available to upgrade. 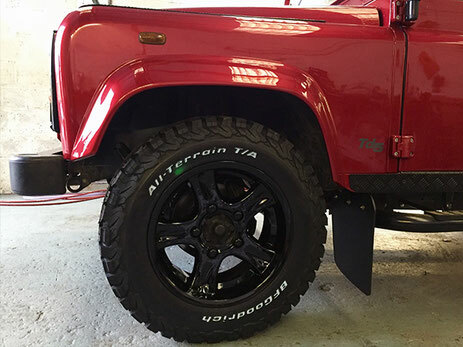 Standard vehicles have Terrafirma products but we work with Koni, Bilstein, Bowler and Fox. Standard vehicles have 16" wheels and Cooper AT tyres but easily upgraded to 18" and 20" with premium brands. 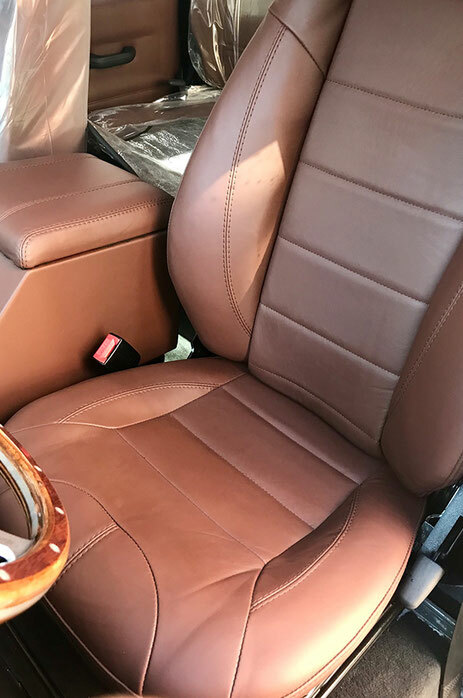 Standard vehicles have new seats and carpet throughout but huge upgrades are possible. Consider sound proofing upgrades and suede roofliners. We're painting the vehicles, how would you like it? Metallic of base colour paint? What have you seen? Black roof or the traditional white? Upgrades include power windows, air conditioning, additional lighting, heated screen and seats. 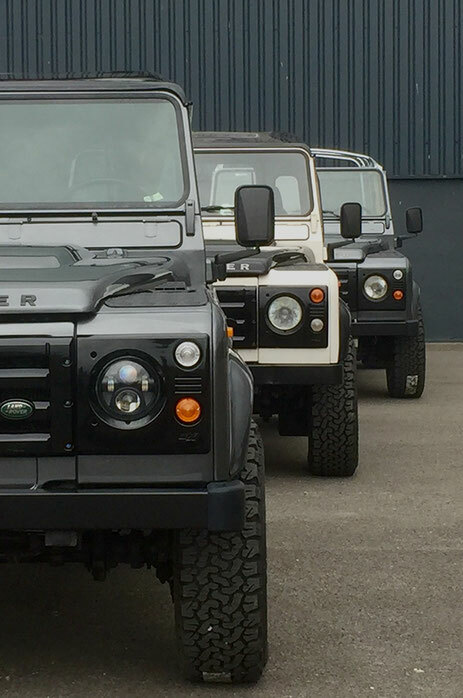 The appeal of Defender is huge range of possibilities - challenge us! Most of our vehicles have key upgrades from top level suppliers including Bearmach, Ruskin Inside, Exmoor Trim and Ashcroft Transmissions. We are not affiliates but respect and recommend their products. We can source any part which partners with our experience of upgrade on the vehicles and potential customs compliance issue. Start the conversation; build the relationship with us and your new vehicle.